Our model portfolios provide you with practical, easy to implement investment ideas. We continually update you on the holdings and why they’ve been selected. You can copy the entire portfolio or individual positions into your own account. Or simply follow what we do to further your education. The 19-19 is a list of the best 19 stocks we can find in America. Some you will have heard of, others maybe not, but each one is best of breed. Why 19 stocks exactly? It forces us to make this list the best possible stocks on the market. Every company fights for its place on the list. It’s a tough battle where only the strongest survive. When a new company with great prospects arrives, another must go. Think it’s easy to do? It’s not. Each company has a reason to be here. Perhaps they are the best in their sector or have an outstanding record of increasing shareholder value or dividend growth. The fast up and comers are trying to knock the established old guard from their positions. Can the big boys still pull out the earnings growth to stay at the top? Whether you want a global blue chip, a fast growing small cap, or a big dividend payer, you can find it here. No matter which you choose we are confident you will be happy. 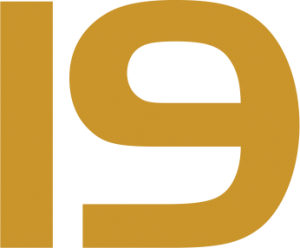 Want more information about 19-19?